A recent study published by the American Heart Association reports that 48% of American adults have some form of heart disease. 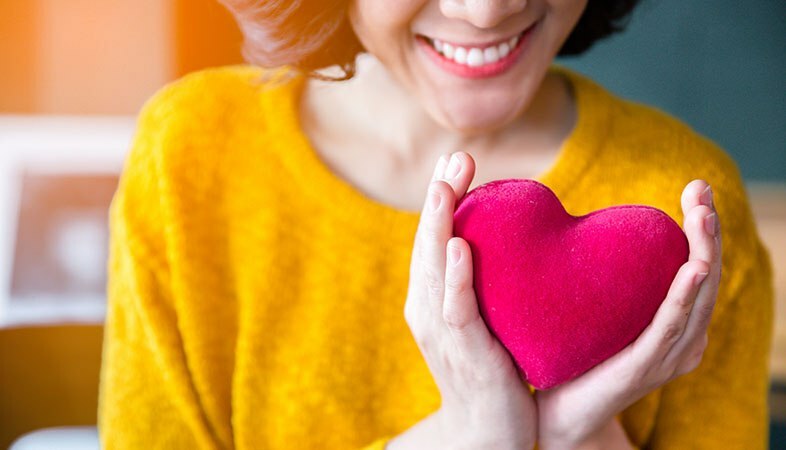 Because serious heart conditions can be present without symptoms, a significant number of the population could be completely unaware of poor cardiovascular health or their risk of developing life-threatening disease. Often, the best way to find out about current health and potential risk is through advanced cardiovascular screening. Cardiovascular disease, defined in the report as coronary heart disease, heart failure, stroke, or high blood pressure, is the #1 killer of men and women globally. Since 2016, the number of deaths attributed to this disease is on the rise in the United States. Cardiovascular screening (included as part of our February Heart Healthy Physical) can help predict the likelihood of heart attack, stroke and major cardiovascular events before there are symptoms, so you and your doctor can take action to prevent cardiovascular disease and related complications … including death. When we talk about cardiovascular screening, it’s important to first clarify the difference between diagnostic tests and screening. A screening is more of a broad overview. Imagine a sailor scanning the horizon – that’s a screening. If the sailor notices something that looks out of the ordinary, it’s time for a diagnostic test. Was that an island in the distance or a ship? Was that glint of light a wave or a lighthouse? Imagine the diagnostic test as the spyglass that helps the sailor take a closer look and determine exactly what it was that seemed out of place. If you’re already having symptoms of heart disease, you and your doctor have already noticed that something seems out of the ordinary. Diagnostic tests help the physician to rule out some possible causes and dial in on the root causes, determine how far the disease has progressed, and recommend a treatment plan that is likely to deliver a positive outcome. Screening takes place when no evidence or symptoms of disease are present, but there are enough risk factors to make the tests a good idea. When interpreted by a trained physician and applied to each patient within the context of their physiology and lifestyle, the result of screening is a custom prevention plan. A prevention plan focuses on overall health and wellness and is designed to stabilize or improve cardiovascular health while lowering the likelihood of heart attack or stroke in the future. Does Everyone Need Advanced Cardiovascular Screening? Not necessarily. Although it would not include an advanced lipid panel or screening for calcium buildup, a Classic Physical from PartnerMD is a wonderful tool for you and your physician. It can provide insights that might cause your doctor to recommend some more advanced cardiovascular screening or suggest actions to take now that will continue to keep your risk low into the future. Your personal risk factors will help your doctor determine which advanced cardiovascular screenings make the most sense for you. Here are a few common considerations. Age. Without the presence of other risk factors, a cardiovascular screening may be a good option for setting a baseline at age 40. At age 50+ the risk increases for everyone. Family history. Family history influences risk factors, less because of genetics, which influence only 10% to 20% of health outcomes, than shared environmental factors, such as lifestyle, behavior patterns, and habits. However, a strong family history might encourage earlier testing. Prior testing. Based on how long ago those screenings took place and the results, any previous advanced cardiovascular screening can influence when and what kind of tests are recommended. Lifestyle. Factors such as your current fitness level, diet, or stress management can increase or reduce your risk for cardiovascular disease. Level of concern. If you’re really worried about your heart health, if may bring you peace of mind simply to know your current health status and level of risk. What Tests Count As Advanced Cardiovascular Screening? It’s arguable that all medical tests are related to heart health, as everything in your body is dependent on the heart. But for this article, we are focused on the most advanced cardiovascular screening that can detect cardiovascular risk before symptoms occur. EKG. Measures electricity in the heart to determine heart rate, rhythm and other information regarding the heart's condition. Looking for structural change, abnormal rhythm, or past damage. Blood (advanced cardio profile and cholesterol/lipids). Goes beyond “good” and “bad” cholesterol to provide a detailed analysis of plaque-causing lipoproteins, as well as reveal markers of inflammation in your vessels. CT Heart Scan. Evaluates for the buildup of plaque and calcium that could indicate risk for future heart attack as well as signaling increased risk for widespread cardiovascular disease. ApoE Genetic Marker Evaluation. This genetic marker affects how your body uses statins and how easily your body is able to regulate cholesterol with diet, exercise, and statin medication. This test may also indicate an increased risk for Alzheimer ’s disease. Vascular View. These tests combine to give you a good measurement of how blood is flowing throughout the body and from the heart or indications of plaque that could cause stroke. Carotid Artery Screening. Measure the buildup of plaque, calcium and inflammation in the carotid artery. Aortic Aneurysm Screening. Checks for aortic aneurysm. Peripheral Artery Screening. Determines the presence of Peripheral Arterial Disease (PAD), more commonly known as hardening of the arteries, which constricts the flow of blood in the extremities. You might have noticed that a Treadmill Stress Test is not on this list -- these can also be a Stress Echo Test or a Nuclear Stress Test. Whichever version you choose, these types of stress tests are diagnostic tools, not screening tools. We talked about the difference earlier in the article. As diagnostic tests, stress tests are helpful if you are already experience symptoms of cardiovascular disease or are at high risk for recurrent cardiovascular disease. A well-exercised heart provides a wealth of information to the physician with regard to patients that are presenting current symptoms of heart disease. For patients without heart disease, this test only measures the fitness of your heart today. Although it feels like a significant test because you may be running and sweating and hooked up to electrodes, a stress test is not going to be able to predict the likelihood of a future heart event. Why Choose PartnerMD For Your Advanced Cardiovascular Screening? Experience. The most important part of any screening is the interpretation of the data to provide the most accurate prediction and effective prevention plan in the context of you as an individual. PartnerMD physicians have performed thousands of Advanced Physicals. We have extensive experience reviewing, analyzing, and interpreting the results for men and women. Cleveland HeartLab. We partner with Cleveland HeartLab to provide the most medically advanced blood work available. Cleveland HeartLab is widely known and respected for their work on heart disease. They have piloted programs and specific tests that they own, making Cleveland HeartLab the only place you can get them. Additionally, our physicians receive specialized training from Cleveland HeartLab in the interpretation of lab results. Customization. As we explained above, not all tests are right for every individual or every year. Before your physical ever takes place, we are going to ask you a lot of questions and review your medical history to ensure the choice of tests and overall experience are tailored to your health and address your concerns. You won’t find one-size-fits-all physicals here. Prevention Plan. If knowing is half the battle, the other half is taking action. Your PartnerMD physician will create a custom plan based on the results of your screening, your goals, and your lifestyle to help you stabilize or improve cardiovascular health. The American Heart Association report points out that about 80% of all heart disease can be prevented. Continuation Of Care. We offer continuation of care (in the form of PartnerMD membership) that includes an ongoing partnership with your physician and health coach to make lasting and meaningful change. Unlimited Health Coaching. A healthy lifestyle is crucial to preventing cardiovascular disease, and we recognize that adopting new habits can be tricky. This is why all memberships at PartnerMD include unlimited health coaching from certified coaches who have been trained in behavior change management. The most advanced physicals, remarkable access to your physician, and support from your health coach create a powerful combination to preventing cardiovascular disease. Visit the Advanced physicals page to learn about the 3 levels of physicals available from PartnerMD. For the month of February (heart month) we are offering heart-focused physicals at a special price. Click for details.